Ari Casper is a seasoned litigator and nationally recognized trial attorney whose understanding of case development and trial strategy has garnered enormous success both in and out of the courtroom. By way of examples, Mr. Casper obtained a $14,000,000 verdict against Hyundai, the largest verdict ever in a side air bag case and a $500,000,000 settlement against Ranbaxy Laboratories, the largest ever involving a generic drug manufacturer. Earlier in his career, Mr. Casper was a federal prosecutor where he successfully tried cases involving hundreds of millions of dollars in white collar crimes and public corruption. Mr. teaches trial practice as an adjunct professor at the Georgetown University Law Center, serves as a guest lecturer at other law schools, and presents to lawyers nationally on a variety of topics. He has served as a trial consultant for Fortune 500 companies in multi-district litigation and is regularly consulted on all matters of trial preparation in complex civil litigation. After graduating number one in his class from the University of Baltimore School of Law where he wrote for the Law Review, Mr. Casper served as a judicial law clerk to the Honorable Alan M. Wilner of Maryland’s highest appellate court. 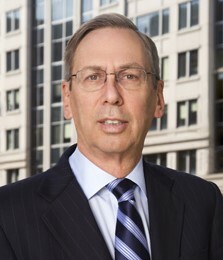 He then joined the litigation group of Hogan & Hartson LLP (now Hogan Lovells) where he represented, among other clients, pharmaceutical companies in criminal and civil investigations, professional sports organizations, including the National Football League Baltimore Ravens, and corporate clients in complex civil litigation matters. He is admitted to practice in Maryland state and federal courts, the District of Columbia, the Fourth Circuit Court of Appeals, and is routinely admitted pro hac vice in jurisdictions across the country. Ralph S. Tyler has had a varied legal career, spanning more than 45 years, in both private practice and government service. From 2011 to 2017, he was a partner in the Litigation and Government Divisions of Venable LLP. At Venable, Mr. Tyler focused on representing clients, including large pharmaceutical companies, on federal and state regulatory issues before the relevant agencies and in court. Immediately prior to joining Venable, Mr. Tyler served as Chief Counsel of the United States Food and Drug Administration (FDA). 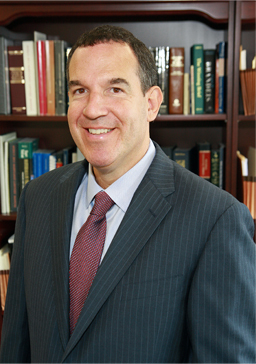 In that capacity, Mr. Tyler had overall supervisory responsibility for the counsel’s office of approximately 90 attorneys and was responsible for the office’s advice and representation of the agency in counseling, litigation, and enforcement matters across all the product areas over which FDA has jurisdiction. Mr. Tyler has also held senior positions in Maryland state and local government, including serving as Maryland Insurance Commissioner, Chief Legal Counsel to Maryland Governor Martin O’Malley, Deputy Attorney General, and Baltimore City Solicitor. From 1996 to 2004, Mr. Tyler was a partner in the litigation department of Hogan &Hartson, L.L.P. (now Hogan Lovells) where he handled commercial and public law cases, arbitrations, as well devoting a substantial amount of time to pro bono cases. Early in his career, Mr. Tyler was a legal services lawyer and a law teacher. Mr. Tyler is a graduate of the University of Illinois, B.A., Case Western Reserve University, J.D., and Harvard University, LL.M. 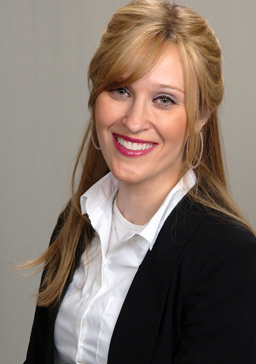 Tiffy Storch attended the University of Maryland School of Law, where she graduated with honors. During law school she participated in the Appellate Advocacy Clinic, where she worked with the appellate department in the Office of the Public Defender. Since graduating, Ms. Storch has edited and contributed to published books and articles on a variety of topics. Since joining the firm, Ms. Storch focuses solely on litigation matters, including drafting pleadings and motions, and preparing matters for litigation and trial.